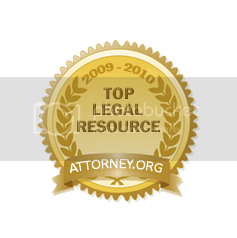 Welcome to KuesterLaw - The Technology Law Resource! This website was originally intended to be the most comprehensive resource on the Internet for technology law information, especially including patent, copyright & trademark law. The website was created by Jeffrey R. Kuester, an intellectual property attorney in Atlanta, GA working with the law firm Taylor English Duma, LLP. Jeff can be reached at jeff@kuesterlaw.com or 770-434-6868. KuesterLaw was at one time the most linked-to intellectual property website on the Internet, received a 1st Place award by the National Law Journal, was rated among the Top 5% of all sites, received a Magellan 4-Star Award for depth of content, ease of exploration, and net appeal, was Clearinghouse Approved, was awarded the Gold Webbernaut Award, and was found to be a USA Today Hot Spot. Jeff Kuester has also recently launched AwakenIP.com, a new IP blog that includes many of the IP links found here and more.